One third of adults in the United Statessome 71 million peopleare currently dieting to make positive changes in their health. The way we think determines the way we act. Thoughts become actions and actions become habits, so gaining control of our thoughts is the critical first step in making positive life changes. The Apostle Paul knew that when he urged us to bring all of our thoughts into captivity and to abandon the practice of conforming the way we think to the low level of the world around us. Instead, we should be transformed by the renewing of our minds! 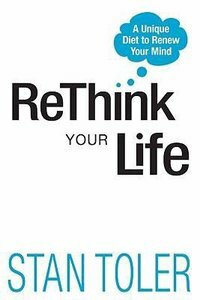 In The Mind Diet, best-selling author and leadership mentor Stan Toler outlines the practical steps anyone can take to discover purpose, focus, decision-making, and improve their quality of life by renewing the mind. This helpful book will lead readers to genuine life change through the most basic Christian discipline renewing the mind.